A testament to the healing power of unconditional love. Widely acclaimed for her emotionally powerful stories that capture the real lives of women, Heather A. Clark, bestselling author of Chai Tea Sunday, tackles the subject of childhood mental illness and the impact it has on a close family. The story begins from nine-year-old Nate’s point of view, etching the details of an unbalanced mind struggling to make sense of rampant thought patterns and heightened paranoia. Enter Ashley, Nate's mother, and a hardworking advertising executive concerned that she’s not giving her family enough of her time — especially now that she senses something might be wrong with her son. As the story moves deftly back and forth between the two perspectives, the narrative converges to reveal one family's journey of discovery as they strive to find balance in their lives. 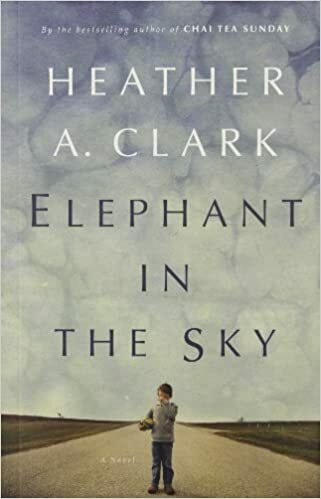 Based on a true story, Elephant in the Sky articulates a complicated, real-life subject with grace, wisdom and sensitivity, and beautifully explores the distance a mother will go to protect her child.